Located in the modern Catalinas area, only a few yards away from the famous Florida Street and Plaza San Martin, Meliá Buenos Aires hotel is the ideal place for business and leisure travellers alike. 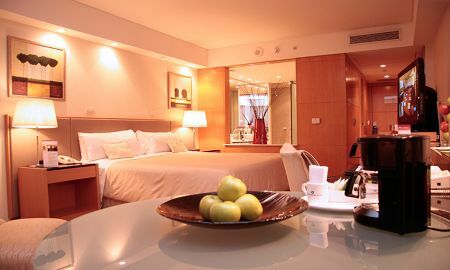 The rooms combine harmoniously modern design, stylish furniture, advanced equipments and exclusive services to make your stay in Buenos Aires unforgettable. Dining is always a pleasure at Azorin Restaurant, with a tempting diversity of delicious international specialities, served by a friendly staff in a serene atmosphere. Gongora Lobby Bar offers a wide variety of national and international drinks and cocktails in a cosy ambience. Stress and tensions melt away under the skilled fingers of the Spa's massage specialists, while the jacuzzi, sauna, heated swimming pool, and a range of health treatments pamper the body and rejuvenate the spirit. Melia Buenos Aires offers also 6 meeting rooms fitted with the latest technologies and exclusive services to guarantee the success of all your events. 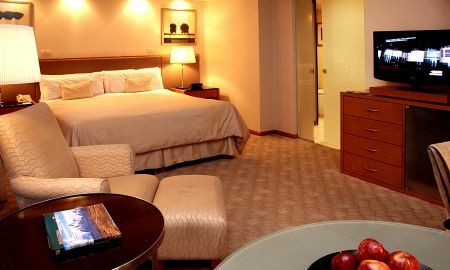 Located in the modern Catalinas area, Meliá Buenos Aires is 35km from the International Airport of Ezeiza, 10minutes from the local airport of Jorge Newbery, and a few steps from the great restaurant options in Puerto Madero, Calle Florida Peatonal, the exclusive Recoleta, the financial district of Plaza de Mayo, Casa Rosada and the Catedral Metropolitana.